Spring House is built upon mysteries and secrets, blood and lies, and Caitlin Chaisson is its mistress. Betrayed and scorned by her duplicitous, cheating husband Troy, she accidentally unleashes something evil by spilling her rage-tainted blood on the ground. It is blood magic that compel flora and fauna rise up and exact retribution upon her enemies, but like most supernatural allies, the vines have a tortured past and minds of their own. Perhaps her enemies will not be enough. Perhaps the corrupted nature she has unleashed will not be satisfied until it punishes all of the members of the mankind that desecrated it. 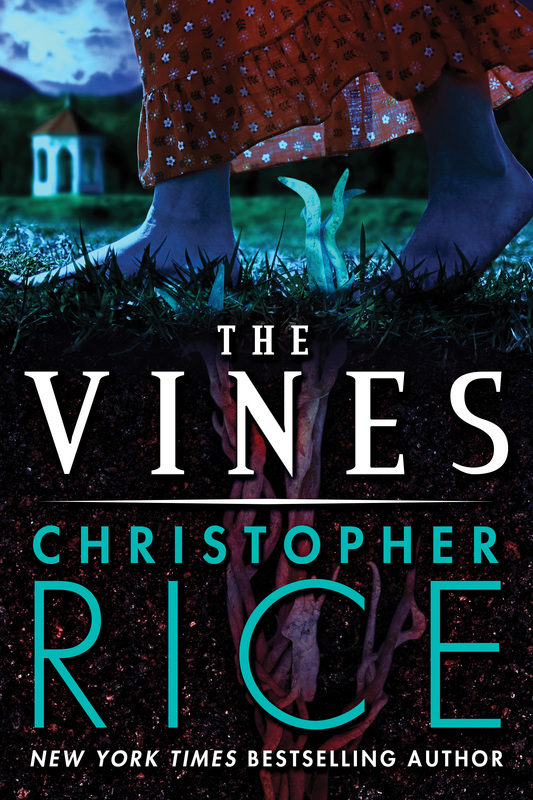 The Vines is a modern horror story. It is a finely crafted parable about the difference between vengeance and justice, and how things can go terribly wrong when one confuses the two. The novel combines the non-stop action roller coaster ride pace and mystery of the suspense thriller with the allegorical nature of traditional horror such as seen in W. W. Jacobs’ The Monkey’s Paw, or those old episodes of Twilight Zone and Tales from the Crypt. Like this author’s previous entry into the horror genre, The Heavens Rise, elements of horror in The Vines are not confined to the supernatural. Often, the most frightening thing in the story is the human factor. The vines remain dormant until human rage and revenge awaken them. What makes it so scary is that the motivations characters have for doing so are so common and relatable readers are left wondering if we have enough moral or intestinal fortitude to resist the temptation that Caitlin gives into. In a jealous fury, Caitlin Chaisson opens the Pandora’s Box of mythological-proportioned perpetrating plant-life. The promotional materials put Caitlin Chaisson first and foremost, but in fact Blake Henderson is the primary point of view character the hero of this piece and its reluctant hero. Nova Thomas is equally obviously its heroine. The only reason they aren’t headlining is that we really and truly do not live in a world that can easily accept the idea of a gay man and a black woman being in these roles in a mainstream fiction work, and rest assured that this is indeed, mainstream horror. The same situation occurred with Niquette Delongpre in The Heavens Rise, and as some other reviewers noted, she wasn’t in fact, a very present character in the narrative. Caitlin is considerably more present here, but she is also primarily a catalyst or a conduit for these otherworldly events. She is also the crux around which these relationships are woven. Caitlin makes a deal – a trade, the blood of the wronged for the blood, flesh and bone of the wrongdoer – not a taste of it, but a human being hungrily devoured in his or her entirety. The novel leverages the ever popular revenge fantasy against the moral compasses of not only the characters, but the readers. What crimes are deserving of supernatural vigilante vengeance? Are any? What is the cost? And if Caitlin, the poor little rich white privileged orphan with a hang-up about her ordinary looks, gives into temptation, then how will her tragically wronged gay best friend and the newly political daughter of her black gardener deal with it? Won’t they want revenge? And is that really justice? Blake and Nova are both people who have spent much of their lives shoring Caitlin up in one way or another. Now, they find themselves reluctant allies in cleaning up her mess. They don’t know each other well, and they’re in culture clash. It soon becomes very evident that they’ve both suffered greater injustices than a cheating spouse. Blake lost his high school sweetheart to a hate crime. Nova is constantly faced with her father’s kowtowing to Caitlin, and is stuck living on a former plantation built on the backs of slaves because of her father’s codependent servile relationship with Caitlin. This novel rife with both obvious and subtextual daddy issues, Caitlin’s lost both her parents and her daddy made her feel ugly. We don’t see Blake’s daddy, but his murdered lover John’s flesh and blood daddy issue keeps stalking him. Nova is angry because her daddy Willie keeps acting like Caitlin’s daddy instead of hers. Willie Thomas and Blake Henderson are disenfranchised men who do not have the money and power of Caitlin’s jackass father or the swagger and bravado of her unfaithful cop husband. These are the kind of men whose sexuality is deemed somehow threatening, so they keep it cloaked. Their sexual existence comprised of lost loves and secret trysts. But they are men, trying to figure out who they are as men in a society that offers them few options. Unable to protect his first love, Blake is in hyper-cranked up rescue mode. Willie barters away his personal agency to provide for his motherless daughter, and loses her respect for doing so. Both of these men overcompensate by hitting the gym and blanketing the women in their lives with protective, paternal affection. But it is always there, bristling under the surface with frustrated, stifled virility. At some point in the book, when Blake surmises that the only thing he has to give Nova is a hug, you really feel for him and for every other kind of disenfranchised man. As quiet as it’s kept, the masculine urge to protect is as natural as its feminine adjunct in maternally nurturing behavior. Stripped of all of the other things a society associates with masculinity, and taken under Caitlin’s wealthy wing, these men are still men. They project their masculinity by instinctively assuming the mantle of protector. Nova Thomas resents her father’s coddling attitude towards Caitlin and his general tendency to kowtow towards white people. Her relationship to both Caitlin and her father underscores something very essential that is missing from the mainstream feminist understanding of how black women relate to men. While white women are currently up in arms over the occasionally obnoxious nature of men who want to rescue women, black women are suffering from a history of not being considered sufficiently womanly to warrant that kind of male intervention. She wants her daddy back, and doesn’t take issue with Blake’s sometimes protective attitude towards her either. However, her resentment towards Caitlin borders on sibling rivalry. These are very well crafted characters, and I was surprised that so much character development could occur in the middle of such a concisely-written and fast paced novel. My copy – an already well-worn Advanced Reader’s Copy – is only 232 pages long. I found The Vines to be a brave novel in that it openly tackles the issues of societal injustice in a privilege system. Speculative fiction usually deals with such issues on a metaphorical level because the often confusing and painful reality of bias in America is just too hard to face. Usually, we have to substitute blue aliens so that readers and audiences don’t cringe in horror. I usually avoid reviewing books because I can’t help but approach them from the point of view of an English major. I also avoid reviews because I am a slow, thoughtful reader who can’t help but dissect them. You will have to forgive me if at any point here I have started to sound like I’m formulating thesis paper on gender and race relations in the U.S.A. No one ever wants to graft her own political agenda onto another writer, but we all have points of view and they seep into our reviews, our conversations, and everything else we touch. That said Christopher Rice was recently quoted as saying that one of the reasons he liked the horror genre is that it is about underdogs. That being the cause, one can’t really believe that the political overtones and subtext in this novel are accidental. It is natural for me to admire anyone tilting at the same windmills I tilt at, or if not the same ones, related and somewhat adjacent ones. This reminds me that, before I even had a chance to read this, someone else with a review copy who is white and male and shall remain nameless, private messaged me saying how excited he was about the idea of me reading this and having an opinion about >gasp< The Black People In This Book. I had a wtf moment, because I am not, in any way, shape or form, the arbiter of all things black in horror fiction. I do realize that since I compiled 60 Black Women in Horror, some people may have that impression, but in fact I am a California girl who has never even been to the South, so you might as well be asking my opinion on Jamaican characters. By the way, other black people probably don’t want me being the Arbiter of all Things Black, I’m only half black. I’m also half Jewish American Princess. Ahem. Nuff said. If a black person not automatically dying in horror fiction is the start of new trend I’m totally in favor of that. If white people like Christopher Rice want to continue to write black characters as well developed as Nova Thomas, I’m very happy with that. The way the character is written, you get the impression that >gasp< the author has actually known more than two black people in his life, and is able to write authentically human black people who are not stereotypically archetypical icons standing for persecution. Shocking, I know! ~ by Sumiko Saulson on October 21, 2014.